You too can wear sweatshirts in the Summer! Just cut off the sleeves! Or better idea.... find a great short sleeve sweatshirt like this one! It's a great twist on the classic idea of a sweatshirt and it's lightweight enough to wear on a crisp Summer day like today. 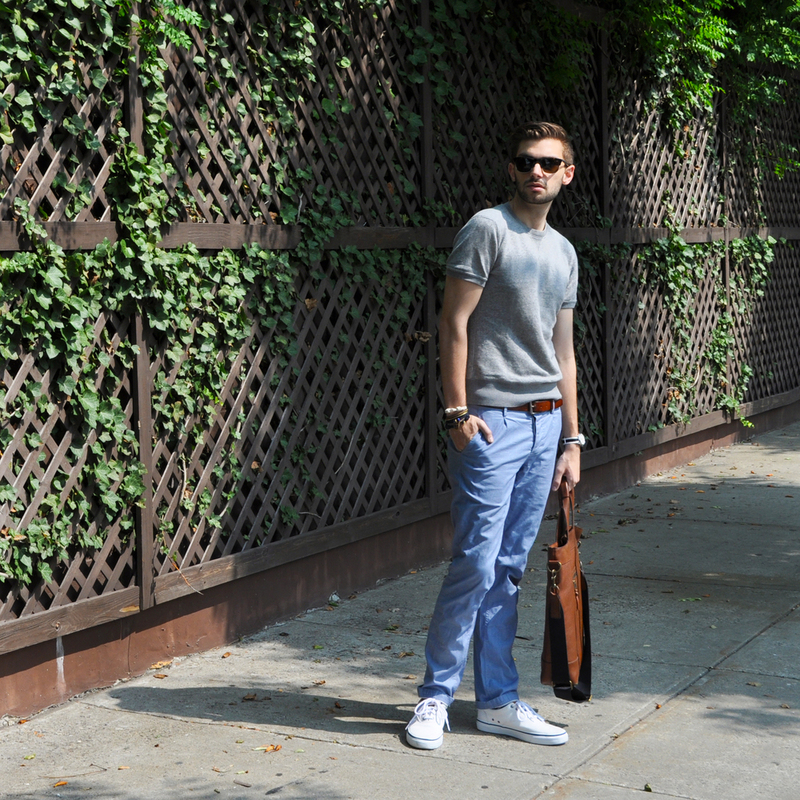 I kept it cool with these icy blue chambray chinos. I don't know about you, but I am so ready for colder weather! I love to layer and while shorts and tees are great, nothing beats a thick sweater and a warm scarf. Guess I'll settle for short sleeve sweaters for the time being!